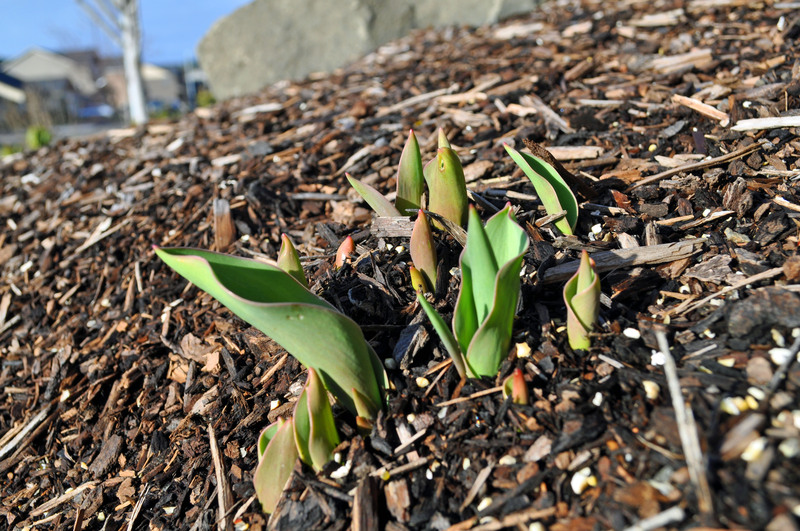 Before the snows came, I noticed that tender shoots from the tulip and daffodil bulbs that line my front steps were barely starting to break through the soil. 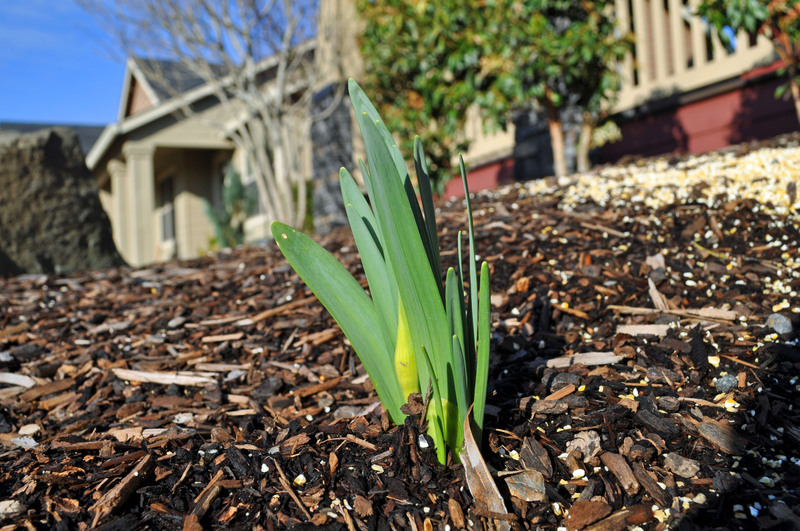 I knew the early growth was driven by days of relatively mild winter weather. Followed by ice. Lots of ice. On the heels of the snow and ice came three storm fronts that dumped several inches of rain over only a few short days. Essentially, I expected all of the winter weather to kill off these first shoots and send the vital nutrients back down to the bulbs until spring. The bulbs had other ideas. They have continued to thrive despite the weather and are now basking in the 50-degree weather and sunny days. And from the looks of it, I will need to dig up the bulbs this fall and separate them so that they can continue to grow strong despite the weather. 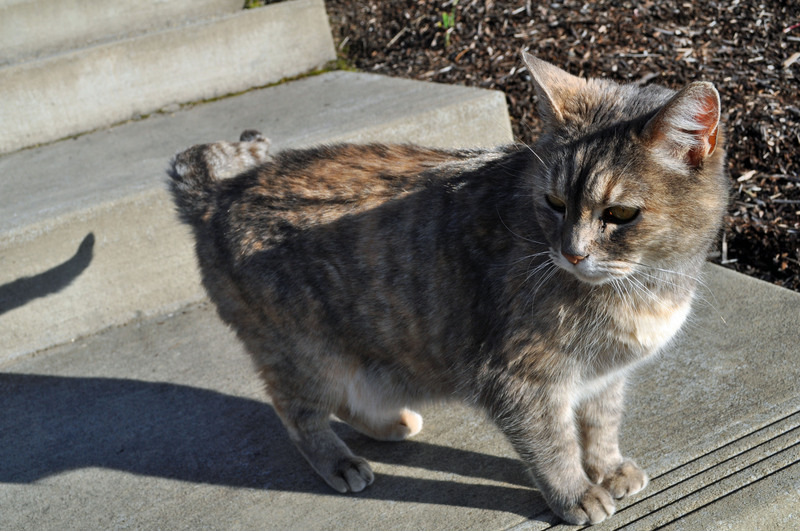 The neighbor’s cat decided to check out what I was doing … and to get a little attention while I was out there.